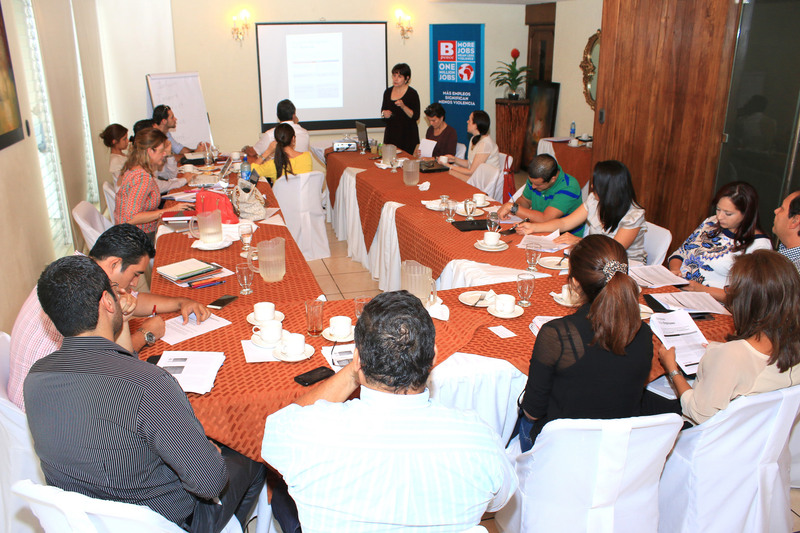 Posted on Wednesday, April 29, 2015 by Angela Scalpello, senior human resources executive and Bpeace Traveling Mentor, who traveled to El Salvador with the support of the U.S. State Department’s Bureau of Educational and Cultural Affairs. I’ve always admired those who prevail against the odds, understand that hard work is what makes a vision a reality, and realize that while building a business is commendable, building a sustainable business is what enriches individual lives as well as the community. 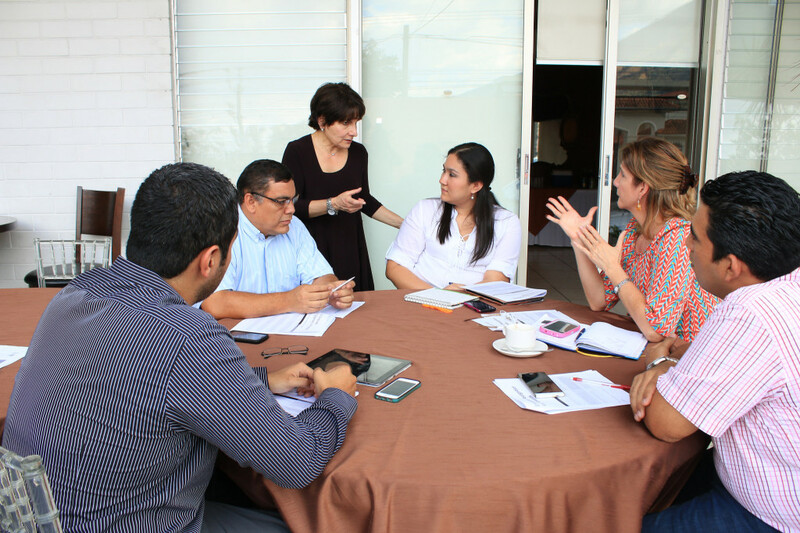 Spending time in El Salvador as a Bpeace Traveling Mentor, I had the opportunity to work with six such sustainable businesses and their hard-working leaders. 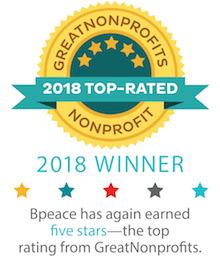 My role was to help them understand how to develop programs, practices and work environments that create engaged employees and, in turn, engaged teams. As is often the case, the student teaches the teacher instead of the other way around, and I came away with 10 inspiring lessons and reminders. 1. The world consists of different geographies and cultures, but business challenges are often the same. Muebles Nuvesa, a furniture maker with 80 employees, wants to improve work distribution and flow, collaboration, and achievement of common goals—just like my North American client companies. Doing business across borders uncovers the many things that unite us. 2. Change allows a refocus on where to put efforts for the greatest impact. After her trip to the U.S., Veronica Handal, owner of La Cochinita, a specialty cuts pork butcher, experienced employee attrition she didn't expect. She seized this opportunity to rethink when to trust someone with more responsibility without putting the business at risk. She also learned that a smaller number of employees focused on the right things and doing them well can create more opportunity and a sustainable business model. 3. Defining roles and responsibilities makes sense, but in a smaller business, cross-training employees is a smart way to maximize productivity. At Peludos, a full-service pet care center, retail pet store and distributor owned by Diana and Karla Figueroa, each “associate” can be cross-trained to perform multiple roles. Others can pitch in when one area gets busy, each person’s job experience is enriched, and unproductive downtime is minimized—plus the business is protected if an employee is out sick or resigns. 4. Owners of small and midsize businesses often try to do it all, which actually becomes an impediment as the company grows. American Door owner Mauricio Mendez needed to identify a strong No. 2 so he could move away from daily operations and focus on growing the business. He asked himself: “What should I spend my time on so I add the most value?” Now he’ll focus on those things with the most impact and delegate the other tasks. Delegation is also a way to develop employees. 5. The best employers know their employees as individuals and help them work toward, and meet, their professional and personal goals. Many employees at the companies I visited talked about a family feeling as a quality they valued, and I saw owners “walk the talk” by working alongside employees during peak times, and creating social events to mark personal milestones or group achievements. 6. New employees need to connect with fellow colleagues and the business quickly. At Creativa Consultores, a software and mobile application development, testing and IT outsourcing services provider, this connection is especially critical for those employees who will spend most, if not all, their time working on-site at a client company. Turnover most often occurs in the first six months, so leaders need to help new employees acclimate through a robust orientation and onboarding process. 7. An open conversation with key managers at Muebles Nuvesa reminded us that leaders do not need to have all the answers. It is often the people on the front lines, day in and day out, who see what needs to be done and have smart, practical ideas on how to do it. Every employee needs a way to get useful information out and have his or her ideas heard. 8. Hiring the right people is important. The right employee brings skills and abilities, and contributes to business success through aligning with common values and behaviors. Several business owners and I worked on identifying company values so they could create behavioral interview questions—questions that probe for examples of past behavior as an indicator of how the person would perform in the job he or she is interviewing for. 9. In his book, “Start With Why: How Great Leaders Inspire Everyone to Take Action,” Simon Sinek says that most companies communicate what they do and how they do it, but few can articulate why they do what they do. Knowing and communicating the “why” inspires employees and customers alike. American Doors might make doors (their “what”), but keeping people safe is their “why.” Spice and ingredient supplier Sabor Amigo’s “why” is to provide jobs and help eliminate poverty, through teaching other smaller ventures how to use the company’s products to start their own food businesses. 10. Change is a process, not an event. “The only constant is change” is certainly true in business. All businesses must keep an eye toward the future and be ready to adapt. However, change doesn’t occur unless people are open to new ideas and new ways of looking at challenges as well as opportunities. The leaders I met with understood that being open to change must be a permanent mindset for them, and something they need to instill and value in their employees. I want to thank to all the individuals who opened up their companies to me and shared their time and stories. Every one of them is building a sustainable business that, in turn, creates positive change in the lives of their employees, their communities and their country. I was honored to work, and learn, side by side with them.